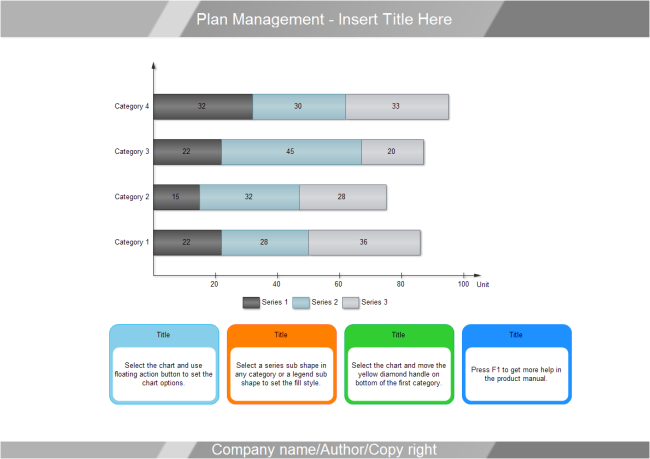 Description: A free customizable plan management bar template is provided to download and print. Quickly get a head-start when creating your own plan management bar charts. After you change the value, the corresponding bar shape changes automatically according to your value alteration.